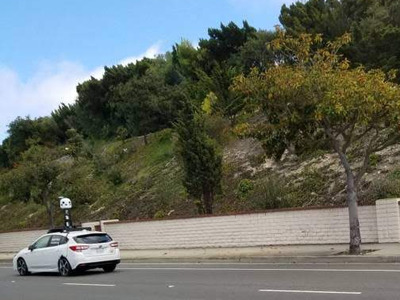 A new kind of Apple mapping vehicle has been spotted around Los Angeles. 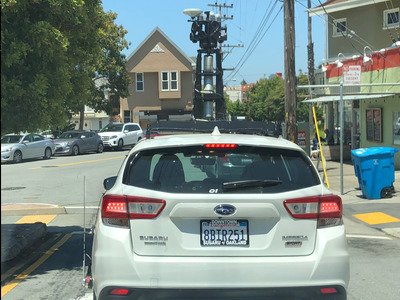 They are white Subaru Impreza wagons with a tower of gear sprouting from the roof and quite different-looking than the previously known Apple Maps vehicles, which were minivans. These mapping vehicles are also different than the self-driving Lexus SUVs that are in testing in California. Apple wants to collect all the data needed to operate Apple Maps, instead of licensing it from partners. Since 2015, Apple has operated a fleet of vans driving streets around the world. Apple publishes a list of where you can spot these vehicles. These vans are equipped with special sensors and cameras on their roofs, and collect data and images to improve Apple Maps. 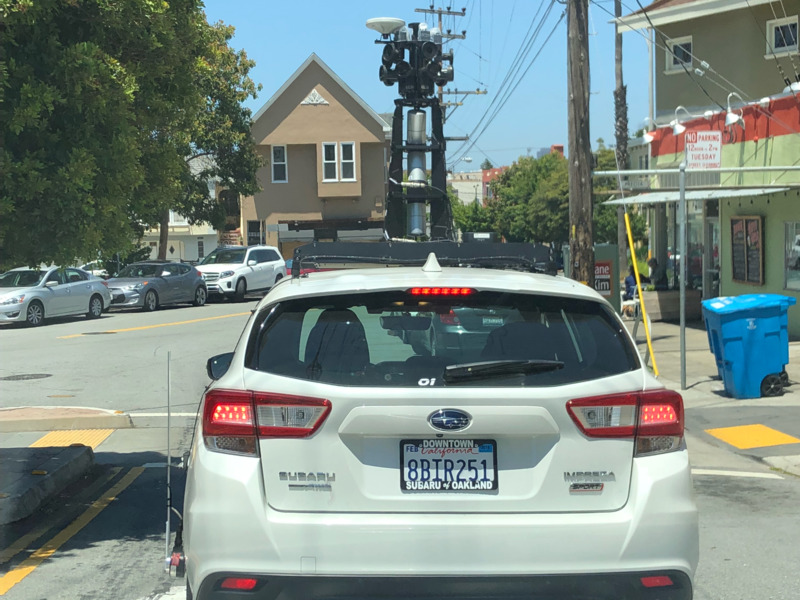 Now it appears that Apple has developed a second-generation version of its mapping vehicles – and this time, they’re not vans. 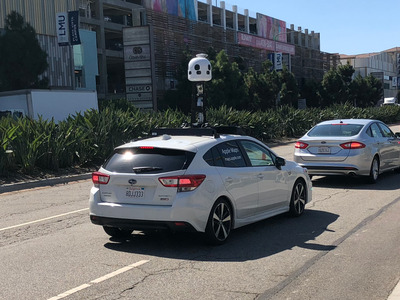 Two different people in the Los Angeles area in recent weeks have sent Business Insider pictures of a new model of Apple Maps car. 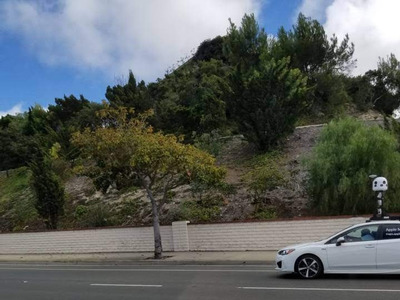 The white Subaru Impreza wagons can be identified by two main characteristics: The ones spotted in the LA area are clearly marked as Apple vehicles. And they have got a tall beehive-like protrusion extending from the roof covered in Apple’s iconic white plastic. The cars appear to be equipped with laser-based LIDAR sensors as well, which collect depth data that’s useful for autonomous vehicles and augmented reality applications. What’s under that plastic shell? We don’t know, but the Subarus spotted in Los Angeles look a lot like this unmarked rigged up Subaru Impreza spotted by Business Insider in San Francisco a few months ago. 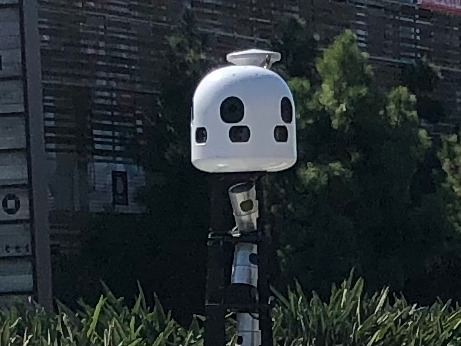 The triple-stack of lidars sprouting from the roof look the same as the Apple car, and the cluster at the top of the tower looks familiar – just without the plastic covering. These cars are separate from the fleet of autonomous Lexus SUVs that Apple is testing around California. According to TechCrunch, the latest version of Apple’s iPhone software, iOS, is the first to use Apple’s own data from its cars in Apple Maps. Apple’s goal for its maps software is to own all the data that goes into making a map, as opposed to licensing it from groups like OpenStreetMap and TomTom. “We decided to do this just over four years ago. We said, ‘Where do we want to take Maps? What are the things that we want to do in Maps?’ We realised that, given what we wanted to do and where we wanted to take it, we needed to do this ourselves,” Eddy Cue, Apple’s head of online services, told TechCrunch. Apple declined to comment. All locations where Apple is driving mapping vehicles are posted on its website.That URL is also clearly marked on the cars. Got a tip? Contact this reporter via email at [email protected] or Twitter DM at @kifleswing. Encrypted chat available. You can also contact Business Insider securely via SecureDrop.